Why Do You Need a Stable Electrical Source? Answers from Your Electrician in Trumbull, CT - New England Electrical Contracting, Inc.
For safety: First and foremost, a stable electrical source creates a safe environment. If your electrical system is in disrepair and unstable, it poses hazards to your property and your personnel. Electrical shorts, shocks and fires can be lethal. It is essential for your system to be maintained by a professional electrician in Trumbull, CT to keep it stable and safe. For reliability: What would happen to your business if you could not rely on your electrical system to function properly? Your business would likely suffer greatly. You would be unable to complete the necessary tasks to accomplish your company’s goals. Your day-to-day operations would slow down or shut down entirely. Since you rely so heavily on your electrical source, it must be reliable. For savings: A stable system is less likely to require repairs. It also runs more efficiently. As a result, fewer funds go to repairs and utility bills, and more funds go to your bottom line. To maximize profits, business owners should keep their electrical system in top shape. A partnership with an electrician in Trumbull, CT can keep your system running smoothly and keep your profits up. For convenience: How much more could your business do with a stable electrical source? When your system is operating optimally, and your electrician in Trumbull, CT is on call to assist you with 24-hour service, you can do so much more. You won’t be interrupted with lengthy power outages, and you can take advantage of the latest technology, which requires up-to-date electrical systems to run it. Your operations will be much more convenient. For success: As you run an efficient, modern business that doesn’t suffer from costly down time, you’re on the right track for success. You’ll be better equipped to reach your goals, then exceed them. Your stable power source gives you the reliability you need to succeed. This is only achieved with service from reliable experts in electricity. To give your business the backup it needs, contact an electrician in Trumbull, CT for regular inspections and service. A general electrician will be able to handle all your electrical needs to keep your business running profitably. Who is currently meeting all your company’s electrical needs? Do you have a partnership with a local electrician in Trumbull, CT? This relationship will help you maintain a solid electrical source to keep your business operating in the black, but not in the dark. 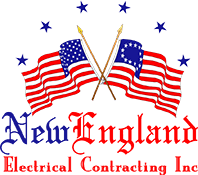 For expert electrical service, contact the professionals at New England Electrical Contracting, Inc. We leverage over 50 years of combined experience to ensure your business gets the attention it needs for success. Reach out to us today!